Enjoy Just Desserts’ exclusive desserts and cakes, plus delicious savoury lunch dishes, in our dessert cafe – now open for breakfast from 8.30, Monday – Saturday. 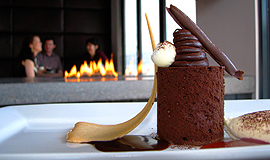 You can also purchase many of our divine cakes and desserts as take home treats. If you are gluten intolerant we have plenty of options, especially on Gluten-Free Wednesdays. Just Desserts knows the secret to a perfect celebration – we’ve been making them in our Christchurch kitchen since 1994! 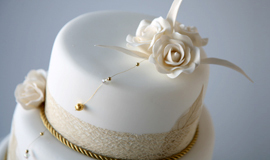 Wedding cakes & Civil Union cakes, Kid’s cakes, Birthday cakes as well as speciality cakes and desserts are designed and baked at Just Desserts by our award winning chefs, for all the important celebrations in your life. Just Desserts has been baking award winning cakes and desserts for over 10 years. 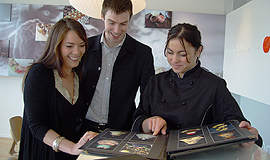 If you’re planning a special event, call us to arrange a confidential consultation at our showroom. Perhaps you are looking for a private space for your next off-site meeting, check out our Boardroom facility. Check out our Boardroom facility.